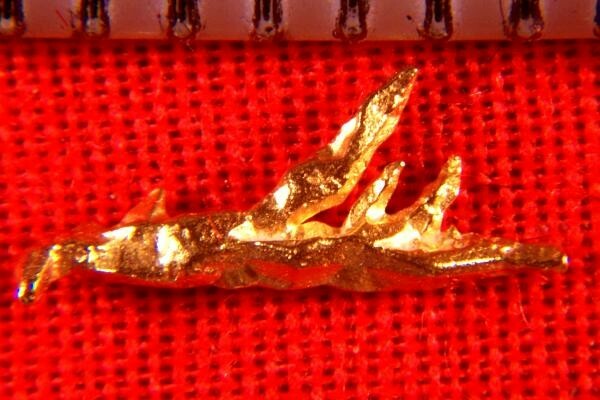 From the jungles of Venezuela, this amazing Multiple Spiked Wire Gold Nugget Crystal is rare to find for sale. You don't often see wire gold specimens like this one. This incredible gold crystal would make a very nice addition to your gold nugget collection. 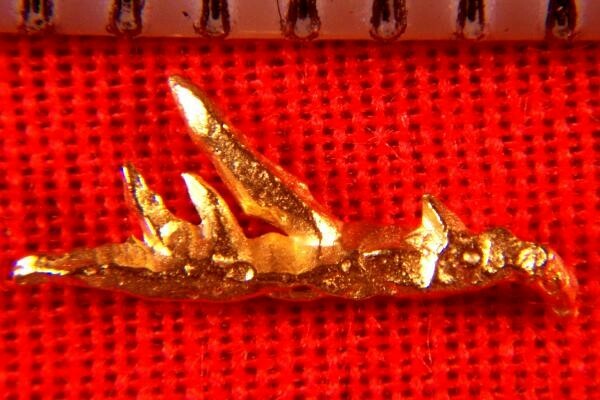 It was recovered by gold miners in Zapata, just outside of Ikabaru, near Santa Elena de Uaire in Venezuela. It is 3/8" (10 mm) long and the weight is 3.2 Grains (0.21 Gram). It comes in a round plastic gem jar for display.